Porter is a English beer style that has become very popular in the United States. This week we will look at the origins of Porter, how to brew Porter at home and provide a collection of sample recipes. When I started brewing back in the 1980’s, the microbrewery revolution was still in its infancy, and it was difficult to find anything beyond the classic American lager in the stores. Yet dark beers were a passion of mine, and Porter was a perennial favorites. Porter is first mentioned in writings in the early 1700’s, and the name Porter is derived from its popularity with London’s river and street porters. There are many stories surrounding the origins of Porter, such as one about it being a blend of three other beers, but more likely Porter was derived from strong brown ales of the period. Original porters were substantially stronger than modern versions. Wikipedia mentions that hydrometer measurements on 18th century Porters indicate original gravities near 1.071, or 6.6% ABV – about twice the alcohol of a modern beer. In another interesting side note, Porter’s popularity was so high that it was stored in huge vats in the late 1700’s, and there was an arms race of sorts between major breweries to see who could build the largest vas. According to Ray Daniels book (below), the largest vats approached 20,000 barrels (860,000 gallons) at the end of the 1700s. This compares to the largest in the world today which clocks in at around 1600 barrels, less than 1/10th the size. In October of 1814, a huge vat at the Meux brewery ruptured and reportedly wiped out an adjacent tank and devastated the neighborhood in a 5 block radius. In the ensuing chaos at least 8 people were killed. Designing Porter recipes can be a lot of fun as the Porter style includes room for experimentation. Porters have an OG of 1.040 and up, color of 20-40 SRM and bitterness of 18-35 IBUs for Brown Porter, or up to 55 IBUs for higher gravity Robust Porter. The color is brown to black, and they have low to medium hop flavor. They are almost always brewed with a full bodied mash schedule (higher mash temperature of 154-156F) to give a full body taste. They have low ester, fruitiness and diacytl, are well balanced and have low to medium carbonation. Traditional porters start with a Pale malt base, and typically add a mix of Crystal, Brown, Chocolate and Black malts to achieve a dark color and taste. Roasted malts are used only in Robust Porter styles. Pale malt makes up 40-70% of the grain bill (60-80% for malt extract brewers). Dark Crystal/Caramel malts are used for color and body and provide at least 10% of the grain bill. Chocolate and Roasted malts each average around 5% of the grain bill, with roasted malt less common in Brown Porter. A variety of grains including Munich malt, Roasted malt, wheat and additives are also used. I will occasionally brew “kitchen sink” Porter which consists of whatever malts I have laying around over a pale malt base. Traditional Porter also made heavy use of Amber and Brown malts, though these are less commonly used today. Ray Daniels recommends a mash temperature of 153F, though I often go a bit higher (156F) to provide a full bodied beer. Traditional English hops are the appropriate choice for Porter, with East Kent Goldings being a favorite of mine. Other good choices include Fuggles, Northern Brewer, Northdown and Willamette. Light dry hopping is appropriate to the style, though hops aroma should not be dominant. English ale yeast is traditionally used for Porter for its fruity flavors, though other high attenuation yeasts are appropriate. Irish ale yeast is also occasionally used by homebrewers. Adjuncts are only rarely added to specialty Porters. A London water profile (high in carbonates) is best. We hope you enjoyed this week’s discussion on porter. Thank you again for reading our weekly blog – please keep your comments, bookmarks and ideas coming. If you enjoyed this article, consider subscribing to our blog or drop a guest vote on BrewPoll using the button on the right. So did you get to brew one recently? Since you posted about it, I think I might brew one. I brewed a nice Porter yesterday – and its fermenting now! I’m just getting started any suggestions? I would sure like too do it right. I would suggest our recent articles on how to brew for beginners. The first article on how to brew is here. Interesting article about porter however there some errors I believe. Porter was a mix of 3 different beers that initially were blended in the pub for each order, this was time consuming for the landlord so the breweries started to brew porter. The name came from the porters that worked in the markets of London, meat (Smithfield), veg. (Spittalfields) and it was popular drink for them. Also LOndon water is soft hence the dark beers that were brewed there like mild and old ales. Burton water is hard is better for bitters. A true porter should not be too sweet but slightly soar and fairly bitter. For a sweet dark beer look for Old Ale. Fullers produce a good bottled porter but the cask version is even better. If you are ever in London in winter make sure you seek it out. 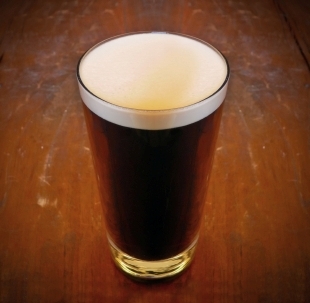 Hi – I believe the origin of porter as a blend of several beers is widely believed to be a myth now. If you read both Designing Great Beers (Ray Daniels) or even Wikipedia on Porter, both refer to an 1802 history of Porter by Feltham, where Feltham is believed to have misinterpreted earlier letters by Poundage that referred to “three threads”. However Porter was actually a single beer created to duplicate the flavor of “three threads” which was a blend of three beers. Porter itself was brewed as a single beer, to be consumed almost immediately, and was probably the first beer to be widely mass produced. The hop is called “Willamette” (only one i), not Williamette. It is pronounced wil-LAM-met. You have convinced me to switch from fly to batch sparging. Why is my Brew Steps sheet telling me to batch sparge with 2 step (.87 gal , 3.34 gal)? I’m trying to determine if there is a reason for this or could I just sparge with 2 even amounts of about 2 gallons each? Also I’m concerned about the temperature profile during mash. My Home depot 10 gallon cooler loses 9 degrees over an hour even though I cover it with a blanket. The room is about 70 degrees. I would probably use a single batch sparge if the volumes are small enough for your vessel to hold it all at once. Two batches of equal runnings (not equal sparge additions) is optimal of you need more than one step. I noticed in your Porter article dated March, 2008, you describe Porter as a full bodied beer. However, in the Robust Porter recipe, it says to mash as a medium body. I have read in other pulications that it is a medium body beer, although I always considered it a full body. Since mashing temperatures are significantly different for medium and full, what do you think is the best temperature for a single infusion, batch sparge when brewing a Porter? Many thanks for sharing porter recipes with us, I have founded great stuff here. Please keep Celsius temperatures available on the articles too!